Morris started life in the colonies as an apprentice in a counting house. By the time of the Revolution he was a rich man, a commercial and social leader in Philadelphia. He organized a clandestine trading network to arm the American rebels, joined the Second Continental Congress, and financed George Washington’s two crucial victories—Valley Forge and the culminating battle at Yorktown that defeated Cornwallis and ended the war. 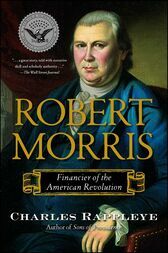 The leader of a faction that included Benjamin Franklin, Alexander Hamilton, James Madison, and Washington, Morris ran the executive branches of the revolutionary government for years. He was a man of prodigious energy and adroit management skills and was the most successful businessman on the continent. He laid the foundation for public credit and free capital markets that helped make America a global economic leader. But he incurred powerful enemies who considered his wealth and influence a danger to public "virtue" in a democratic society. After public service, he gambled on land speculations that went bad, and landed in debtors prison, where George Washington, his loyal friend, visited him. This once wealthy and powerful man ended his life in modest circumstances, but Rappleye restores his place as a patriot and an immensely important founding father.